Clear your holiday wishlist kids. 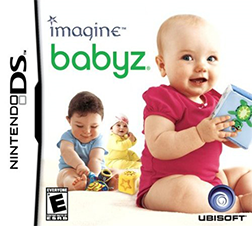 Ubisoft recently announced the lineup and release dates of their upcoming Imagine and Petz Nintendo DS titles. Dubbed as the "Games for Everyone" collection, these games would surely keep you busy until next year's holiday season. We know because we spent a decent month playing Imagine Babyz. Below's the list of Ubisoft's "Games for Everyone" Collection.